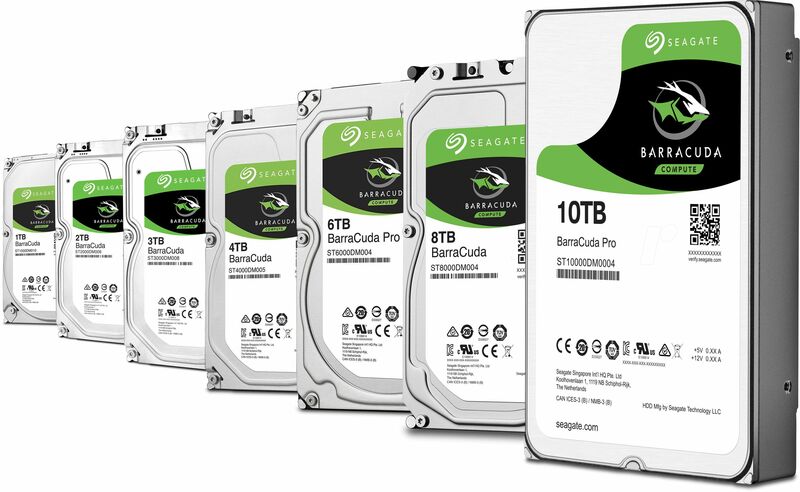 Seagate brings over 20 years of trusted performance and reliability to the Seagate BarraCuda 3.5 inch HDDs - now available in capacities up to 10TB! BarraCuda leads the industry with the highest capacities for desktops and mobile computers. With drives available up to 10TB, the BarraCuda portfolio is a great option for upgrades at any price point. The uncompromising BarraCuda Pro marries industry-leading storage capacity with 7,200-RPM spin speeds for snappy performance and load times when gaming or performing heavy workloads. BarraCuda Pro also comes equipped with a 5-year limited warranty. The BarraCuda Pro is a creative professional’s and tech enthusiast’s dream. Equipped with 7,200 RPM makes the BarraCuda Pro the fastest 10TB desktop drive available. Large cache size pushes your PC to new performance heights so you can load applications and files even faster. Plus the BarraCuda Pro is backed by a best-in-class, 5-year limited warranty for your peace of mind.